The decision comes after Autumnpaper Ltd. (“Autumnpaper”) – the entity that holds Alexander McQueen's intellectual property rights – filed a trademark application in June 2013 for the mark in an array of classes of goods and services, including those that cover perfumes, make-up, sunglasses, handbags, watches, clothing, footwear, and retail services connected to sales thereof, among others. Much like the U.S. Patent and Trademark Office system, which requires that all proposed registrations be published in the Official Gazette and subject to opposition, the Australian trademark body publishes all applied-for marks in the Australian Official Journal of Trade Marks and thereafter, observes a period in which third parties may oppose the registration of a pending trademark application. 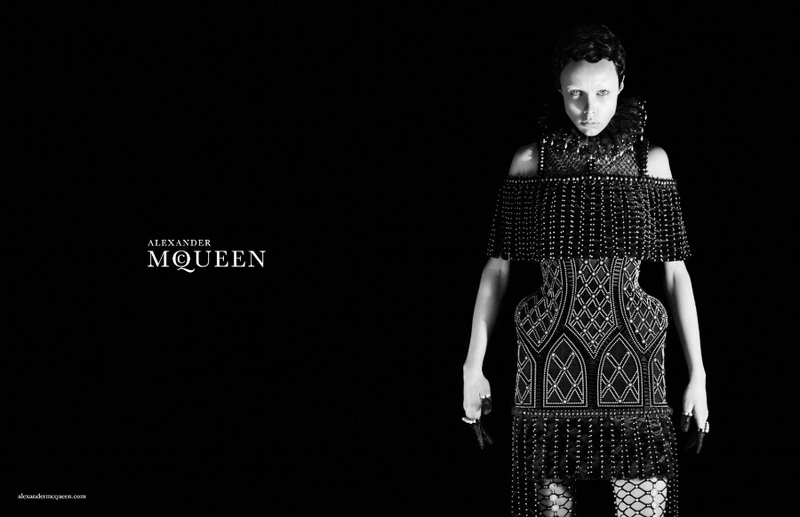 In response, Autumnpaper pointed to its existing rights in the “McQueen” mark, including three previously registered versions of the “ALEXANDER MCQUEEN” trademark, five versions of “MCQ” mark, and two stylized variations of “MCQUEEN,” which are registered with the Australian trademark office, but Bianca Irgang, the Australian hearing officer, who decided the matter, was unpersuaded. In her decision, Irgang disagreed with Autumnpaper, holding that its “extensive use of the ‘ALEXANDER MCQUEEN’ trade mark and [stylized] ‘McQueen’ trade mark is [not] sufficient” to prove usage of and rights in ‘MCQUEEN.’ Moreover, she held, “The applicant has not established that the applied for trade mark, MCQUEEN, is capable of distinguishing its goods and services” from those of others, which is the primary purpose of trademarks when applied to goods and services. As such, the Australian Registrar of Trademarks refused to federally register the Autumnpaper’s mark. The company has not yet announced whether it will appeal the decision. The decision comes on the heels of another relatively recent trademark loss between McQueen and Metropolitan. In November 2015, the British brand lost its battle to prevent the registration of trademarks for “CHRISTINE McQUEEN” and “CMQ” in connection with various goods and services, including the retailing and wholesaling of clothing and footwear. In that matter, McQueen was on the other side of things, opposing Metropolitan’s 2012 trademark applications and arguing that the proposed “Christine McQueen” and “CMQ” marks would likely deceive consumers and/or cause confusion. Moreover, McQueen’s attorneys argued that Metropolitan’s trademark applications were filed in bad faith (aka with the intent to deceive and/or confuse and piggyback on the luxury fashion reputation of Alexander McQueen’s name). Australian Registrar of Trademarks held that while McQueen produced sufficient evidence to establish that ALEXANDER McQUEEN had a reputation in Australia, the design house did not produce evidence to show that it had such a long standing reputation that would cause the Christine McQueen brand to be perceived as a brand extension of Alexander McQueen. Specifically, the Australian Registrar of Trademarks held that McQueen did not produce clear evidence of the date it commenced sales into Australia and could only prove it had made sales dating back to sometime before 2005. Finally, the trademark office’s officer noted that a different outcome may have resulted if McQueen had been able to produce better evidence proving its reputation in its marks in Australia. As a result, CHRISTINE McQUEEN and CMQ logo trademark applications were allowed to proceed to registration.